Another all-request episode starts in the Gaming Hut, where Patreon backer Gerald Sear wants us to consider the Mythos implications of the Disney corporation. Then assemble your miniature greenhouses and sail over to the History Hut, where we make up interesting facts about botanist and tea smuggler Robert Fortune at the behest of backer Steve Sick. Backer Theron Bretz revs up the projector in the Cinema Hut, as we tackle Spy Movies 101. Then the Consulting Occultist unfurls some alchemical wisdom on a Paul Tevis request for the skinny on the Ripley Scrolls. The contents of this podcast become too horrible to correlate as we slip into the Gaming Hut to answer a question from Patreon backer Laurel Halbany about handling secret mythos knowledge in an age of ever-present information. In Ask Ken and Robin, backer Jeff Kahrs ask us to expound on the contradictions of opting out of challenging or uncomfortable subject matter at the gaming table. Then Ken and/or Robin Talk to Someone Else, in the ever so irrepressible form of Burning Wheel and Torchbearer designer Luke Crane. Warning: adorably sweary. Finally the Consulting Occultist, somewhat to his surprise, realizes he has yet to tell us about Eliphas Levi, and so tells us about Eliphas Levi. The Gaming Hut looks at top temporal locations for TimeWatch scenarios. Pelgrane Press celebrates our segment by offering you, the listener, a voucher code to order from its online store. Plunk in TIMEWATCH at the voucher prompt for 10% off any TimeWatch product. In keeping with the chronological confusion of TimeWatch, the offer is good for a limited but indeterminate time period, so act fast, before it shimmers away into nothingness. Next up Robin issues a Travel Advisory for his trip to THE KRAKEN, a Gaming Retreat held at the Schloss Neuhausen in the rural depths of the former East Germany. Its founder Fabian Kuechler can tell us more about the unusual history that led to THE KRAKEN, so in Ken and/Robin Talk To Someone Else, we get him to do just that. Ken also spent his time since our last recording session on the road, occasioning a jaunt into the Cinema Hut for a review of the latest H. P. Lovecraft Film Festival. We kick off another episode inspired entirely by Patreon backer requests with John Corey, who asks Ken to expand on real history as the best setting for gaming and the challenges of reskinning it, thus inviting another round of That Thing I Always Say. The enigmatic asker known only as Bryan ushers into the Horror Hut to consider Lovecraftian spam. In the Tradecraft Hut, Simon Hedge requests a 101 on Kremlinology. And Neil Dalton poses a probing question in the Eliptony Hut, about horror writer, UFO contactee and podcaster Whitley Strieber. In Ask Ken and Robin, Patreon backer Conrad Kinch asks what the cruel empire of Tsan-Chan might be up to in 5000 AD. The answer might surprise him! Now that you’ve worked your way through the filmography we provided in our Westerns 101 segment, the Cinema Hut rides back to the corral to pick some deeper cuts. Yes, it’s Westerns 201. Then we’re back in the parlor of the Consulting Occultist to hear the tale of reputed 16th century sorcerer Rinaldo des Trois-Echelles du Mayne. Ken fans who did not partake of the Kickstarter can now sink their fangs into the general release of the Dracula Dossier from Pelgrane Press, consisting of the Director’s Handbook and Dracula Unredacted. You say that’s still not enough Ken for you? Very well, my friend. His brilliant pieces on parasitic gaming, alternate Newtons, Dacian werewolves and more now lurk among the sparkling bounty of The Best of FENIX Volumes 1-3, from returning sponsors Askfageln. 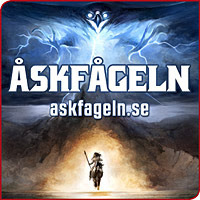 Yes, it’s Sweden’s favorite RPG magazine, now beautifully collected. Warning: not in Swedish. Attention, operatives of Delta Green, the ultra-covert agency charged with battling the contemporary forces of the Cthulhu Mythos! Now everything you need to know to play Delta Green: The Roleplaying Game, perhaps extending your valiantly short field life, can be found in the Delta Green Agent’s Handbook.